The kitchen can be an expression of self identity and personal taste. A custom designed kitchen can bring with it the type of social acceptance you will get from driving an Aston Martin! Your friends will envy you! 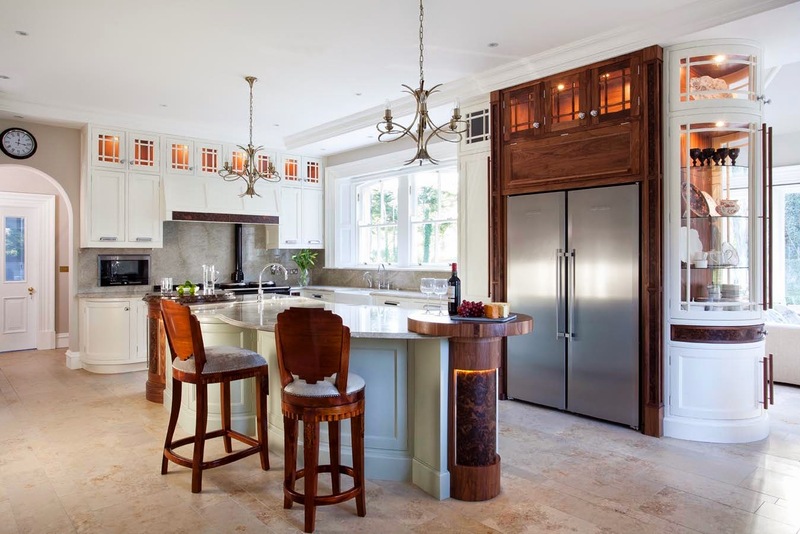 If you are lucky enough to be in a position to indulge yourself then why not have a shape shifting kitchen with hand-made leather doors and a handle that is a SYMBOL of your wealth! Pocket doors with customised Blum Intivo drawers make this leather clad beauty X-Rated! Beautiful. A link to the makers/designers/source of the photos would be nice. Or did you take them yourself?